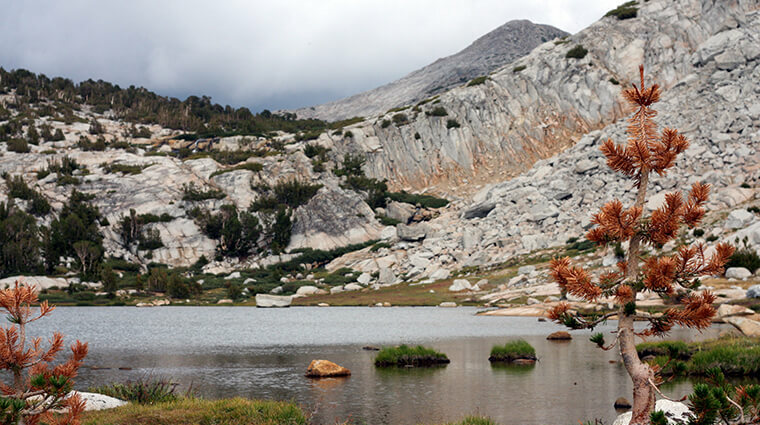 Vogelsang is the highest of the High Sierra camps at over 10,000 feet above sea level. It was established in 1940 and is a great basecamp for hikes to the surrounding alpine lakes, including Evelyn Lake, Ireland Lakes, Booth Lake, Emeric Lake, and Vogelsang Lake. Vogelsang features 12 cabins with a total capacity of 42 guests comfortable beds. There are no showers at this camp.